I have already modified the original meme to allow for multiple choices, and I will now modify it even more to allow for multiple meanings of this exceedingly vague topic. The original topic of “favorite book turned into a movie” does not allow for substantially different books for me to feature than the previous topics, and also says nothing about the quality of the film. For instance, Mark Twain’s A Connecticut Yankee in King Arthur’s Court has, to my knowledge, never had a very good straight adaptation, but someone could conceivably choose it for the original topic even while despising its film versions. But since I am a film buff as well as bibliophile, I am turning the question so it allows me to feature films that I think are also very good of themselves. But first, my three interpretations of the topic (as I’ve modified it), along with my three film choices. Also – and this should go without saying – these choices are limited to films I have actually seen. 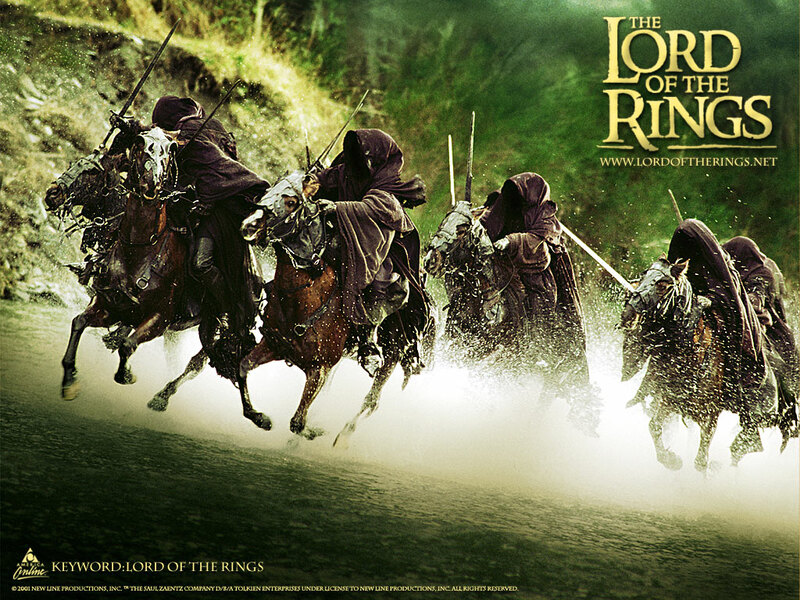 The Ringwraiths were spot-on in the movies, especially the scene where the hobbits are hiding under the tree root. Well, that would have to be The Lord of the Rings – the Peter Jackson trilogy. For all that they changed or left out – the songs, the poetry, the humor of the Elves, the confidence of Aragorn, the moral conscience of Faramir, the reducing of Gimli to comic relief, the Scouring of the Shire, etc. – I believe there is more that they got right. The epic scope, the themes of friendship, forgiveness, and the importance of never giving in to evil, and much more. Although, I still hold out the hope of one day seeing a grand film adaptation of Perelandra; since the book is almost a textbook example of “unfilmable,” such a film would probably have to be animated. And very philosophical. I mean, hey, they made an opera of it! One day I also hope to see a fantastic adaptation of The Lantern Bearers, which I think could easily become one of the great historical epics of film, if it is done right. But alas, I wait still. 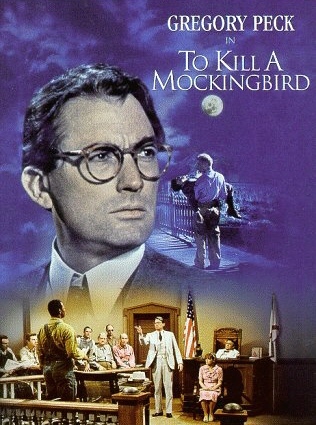 To Kill a Mockingbird (1962), directed by Robert Mulligan and starring Gregory Peck as Atticus Finch. Gregory Peck is Atticus Finch. I was astounded, upon seeing the movie, how exactly he fit my mental image of Atticus. The tone of his voice, the way he carries himself, the tender nobility and humble love in his eyes…all of it, there. Additionally, the children are perfectly cast. They’re real kids, not child actors, with all the spontaneity and intensity that implies. It is also helpful that the script is nearly identical to the book, only cutting a few scenes due to time and pacing constraints. To my recollection, everything in the movie is also in the book, and it is all represented in the right way. The music (by legendary composer Elmer Bernstein) is justly one of the most famous movie themes, evoking the carefree world of childhood imagination. The directing is also masterful, setting the right and bringing out the book’s themes. 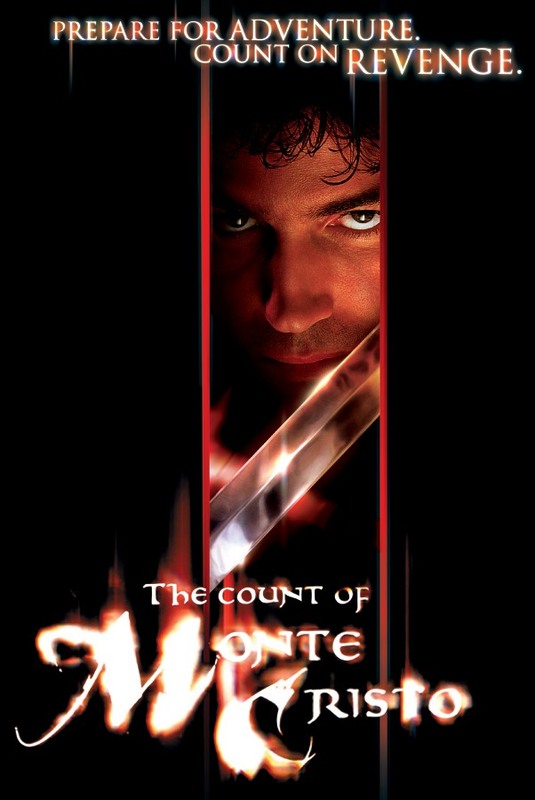 I already know there will be some disagreement here, based on yesterday’s post, because I’m going to say the 2002 version of The Count of Monte Cristo, directed by Kevin Reynolds and starring Jim Caviezel, Guy Pearce, and Richard “Marcus Aurelius/Dumbledore” Harris. First and foremost, this is one of the last true adventure movies that Hollywood has made. In the past decade or so, “action movies” have supplanted the adventure genre, replacing exciting stories with endless combat and chases. They are more about adrenaline than the wonder of exploration and imagination. But The Count of Monte Cristo is in the glorious tradition of the old swasbucklers like Captain Blood and The Sea Hawk (both featuring Errol Flynn), in which an essentially good man suffered terrible trials and had to find the right ways to fight back, all the while visiting exotic locations, making friends and enemies, and generally having some great adventures. There’s a liveliness and joy in its storytelling, despite the dark-ish nature of its revenge tale. Its very well-paced in three acts, and in each Edmond transforms himself completely into a new person. The change Caviezel effects is astounding – he’s almost unrecognizable as the same person in the three acts, but the change is entirely through grooming, clothing, and the way he carries himself and speaks. When he returns to Paris, it is completely believable that his old friends would not recognize him. This movie has everything I desired from Dumas’ book that Dumas did not deliver. It trims the soap opera fat that I did not care for (the meandering subplots with less-than-intriguing Parisians) and brings out the story’s key elements. There are some great swordfights, that are thrilling and well shot, without that horrible shaky-cam that infects Hollywood like a plague nowadays. Also, I think, some key relationships are deepened. The decision to make Albert actually Edmond’s son rather than Fernand’s is brilliant, for even though it does mean that our hero had immorally slept with his fiancé before their marriage (an action I of course do not condone), it explains some things much better: Mercedes’ quickness to marry Fernand after Edmond’s arrest, Albert’s innocent nature and sense of honor coming from both Mercedes and Edmond rather than just Mercedes, and why Fernand doesn’t like his own son (he subconsciously realizes that Albert is more like Edmond than himself). The emotional threads are clarified, given motive and substance, and played out to an exciting, dramatic conclusion. I love it. It’s fantastic entertainment. On reflection, I have concluded that this list is inadequate. I still agree with my choices for the categories above, to some degree, but feel that I have left out too many excellent film adaptations of books. 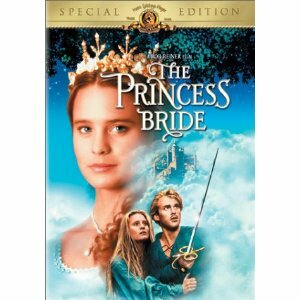 For instance, how could I have neglected The Princess Bride? I grew up quoting the film, and only discovered the book in my teenage years. Both are excellent: witty, romantic, adventurous, and hilarious. 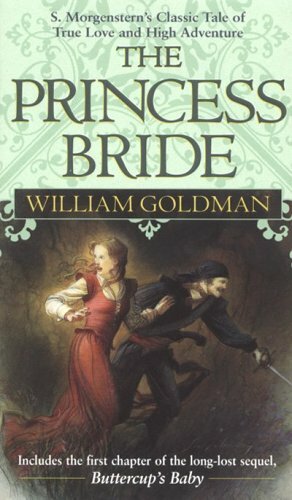 The movie is more accessible than book, which is filled with Goldman’s elaborate ruse in which he tries to convince the reader that he is merely “abridging” an original, older text by S. Morgenstern in which the author supposedly went on for dozens of pages about trees, the minutiae of packing royal luggage, and such boring materials. He claims his abridgement is “the good parts version.” Some readers may not catch on to Goldman’s trick – there is no real Morgenstern, nor kingdoms of Florin and Guilder, of course – because he plays it so straight-faced and with such casual detail, and those that do catch on may not find it funny (for example, my father), but for those that do, it puts a fun twist on the central story. The book and film benefit from having the same writer, and thus maintain the same ton and essential appeal. Pure entertainment, beginning to end. Both versions are iconic. 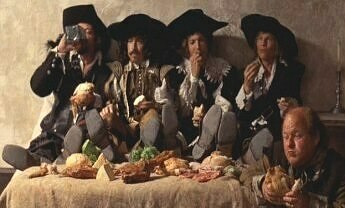 I must also add The Three Musketeers (1973) and The Four Musketeers (1974), which together form the best adaptation of Dumas’ The Three Musketeers that I know of. I only just watched them over the past three days, and I think they are actually much superior to The Count of Monte Cristo (2002) that I list above. They manage the same effect – trimming the fat while crafting the most excellent adventure promised by Dumas – while remaining far, far truer to the text. I cannot think of anything significant in these films that was not in the book, nor of anything from the book that I missed in the films. They retain the adventure and the comedy in equal parts, with dashes of drama thrown in to give the proceedings just enough gravitas to get by. And is there a better all-star cast for such a movie? Charlton Heston makes a devious, but strangely honorable Cardinal Richilieu, Christopher Lee is imposing as Rochefort (and it’s great to see Lee have some fun with his character’s humiliations), and Michael York proves excellent as the young, naïve, but lively d’Artagnan (sort of like Luke Skywalker, with more passion). 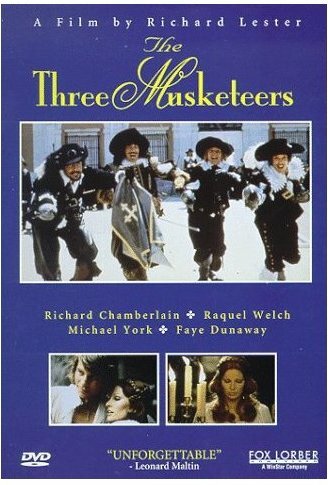 The Three themselves are excellent – Richard Chamberlain as the kind, refined Aramis, Frank Finlay as the hilarious and friendly Porthos, and Oliver Reed as the intense Athos. Faye Dunaway is a perfect Milady de Winter, and even eye-candy Raquel Welch shows some comic talent as the bumbling coquette Constance Bonacieux. The sword-fights are superb, some of the best I have seen. Swashbuckling with all the energy and joy of Errol Flynn and Basil Rathbone’s best duels, but with more genuine strategy and convincing moves. Really, really fun movies. 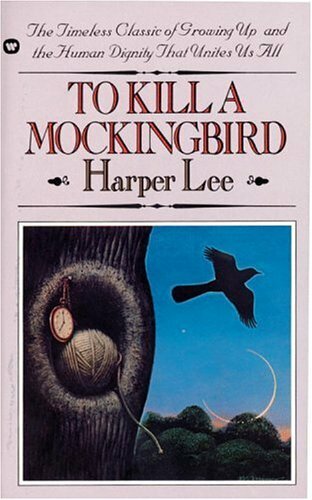 Perhaps no book exemplifies this more than To Kill a Mockingbird, by Harper Lee. It’s usually required reading in American high schools, nowadays. There was really no reason for me to think I wouldn’t like this book, because before reading I knew nothing about it. The title sounded like an annoying attempt to be poetic in that “Newbury Award-Winning” way that always bugged me. The cover picture likewise. But soon the story sucked me in, and in the end there was no doubt that I loved it. Atticus Finch is one of my favorite fictional heroes. His courage in defending Tom Robinson against a racist town out for blood, his disregard for his own public reputation, the integrity of his personal life, and the respect he insists on giving to people who often don’t deserve it, the firmness and love with which he instills moral principles in his children, his commitment to peaceful confrontation even when a mob approaches him with violent intent…the list of his virtues stretches on. He’s a believable and inspiring hero, one of the best fathers in fiction, and was played to perfection by Gregory Peck in the truly great 1962 movie. I also love Scout herself. She’s such a believable little girl, feisty and loyal to her family, headstrong but brought up with integrity, and not quite able to understand the racial prejudice surrounding her. Her brother Jem is also a fascinating character. Watch him in the climactic courtroom scene, as he listens carefully to his father’s legal defense of Robinson and follows the argument. He grows up substantially over the course of the book, and the courtroom scene marks where he begins to comprehend just how unreasoning racial hatred is. Atticus’ defense is perfect and indisputable, and Jem has difficulty trying to understand how the jury could still vote to give Robinson the death penalty when he is physically incapable of committing the alleged crime. I haven’t reread the book, but I will someday. The device of writing it all from a little girl’s perspective is risky, but it pays off. Scout has a voice of her own, and her recollections of life in Maycomb have the charming ring of nostalgia. The childish escapades are funny, enlivened with the specific textures of Southern life. And the message is delivered with tact, compassion, and artistic skill. I really wish Harper Lee would write another book!